Pouring rain across B.C. 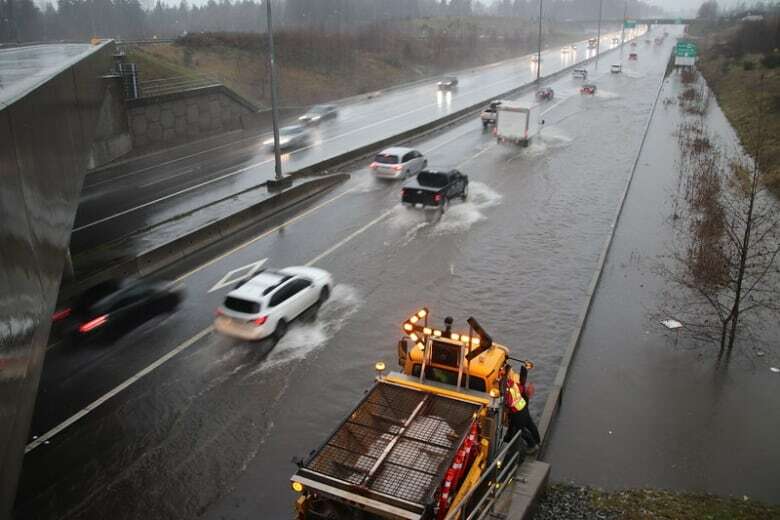 's South Coast caused flooding, closures, traffic disruptions and SkyTrain delays Tuesday afternoon. Much of the South Coast, including Metro Vancouver, was under a rainfall warning for most of the day. Environment Canada said rainfall amounts of 40 to 60 millimetres were expected by late afternoon for Howe Sound, the North Shore — including West Vancouver and North Vancouver — and Metro Vancouver, including Coquitlam and Maple Ridge. 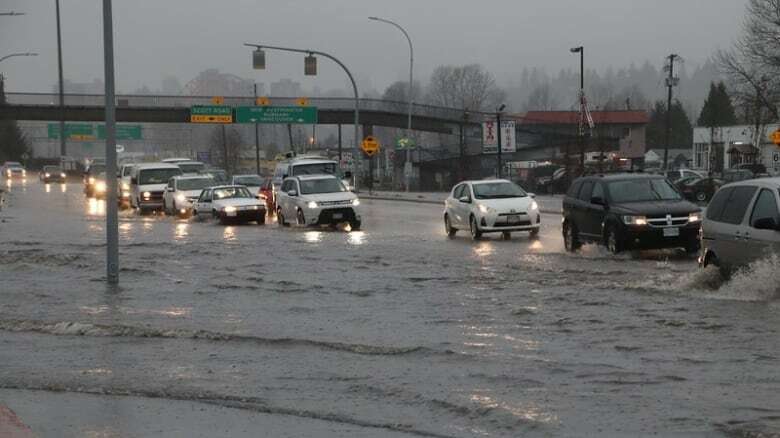 The rain caused localized flooding which disrupted traffic in the area, including the suspension around 2 p.m. of SkyTrain's Expo Line service between Columbia Station and Sapperton Station and between Columbia and Scott Road stations. Bus bridges were set up between the affected stations. Regular service resumed around 4:30 p.m. but delays are expected to continue for some time. Chris Bryan, a spokesperson for TransLink, said the floods have caused "a real headache for customers." "We have a lot of standing water, and it got to the point where we had to stop trains running through there," Bryan said. 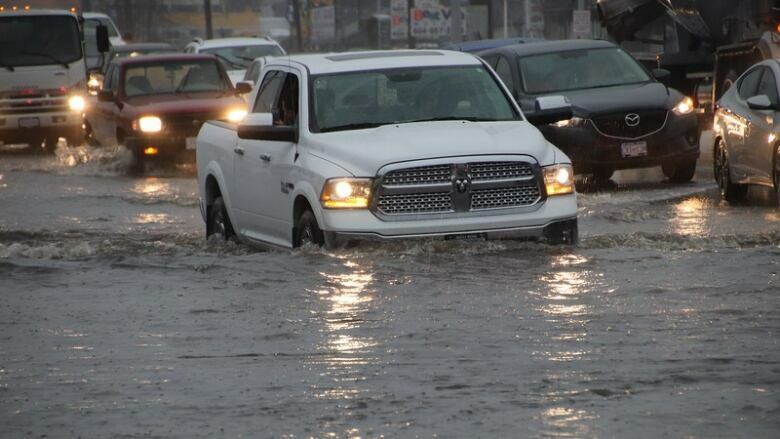 Cities across the Metro Vancouver are reporting difficult road conditions including flooding and stalls. In Surrey, cars ploughed through huge puddles on King George Boulevard and 128th Street as well as westbound on Highway 1 at 160 Street. On Vancouver Island, heavy rain combined with overflowing stormwater and wastewater along some shorelines in Greater Victoria. The Capital Regional District is asking residents to avoid entering the water along the shoreline in Oak Bay, Saanich, and Esquimalt because of potential contamination. CBC senior meteorologist Johanna Wagstaffe says the rain should ease off in most areas by evening.